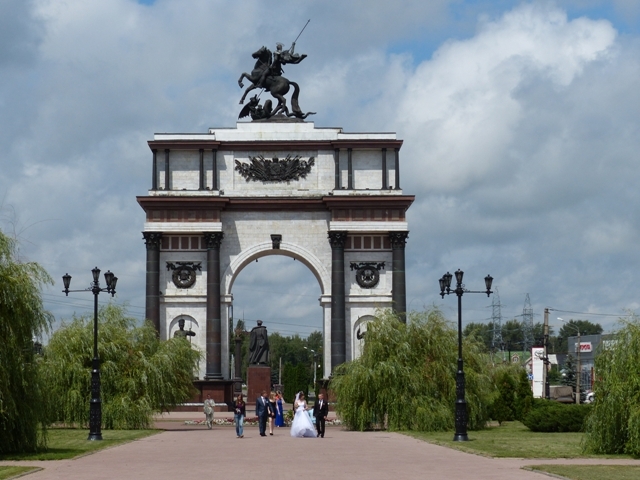 Kursk is an old city. It was founded in the 9th century, was destroyed by Tatars in 1240 and then belonged to Lithuanian principality for several centuries before being taken back by Moscow. 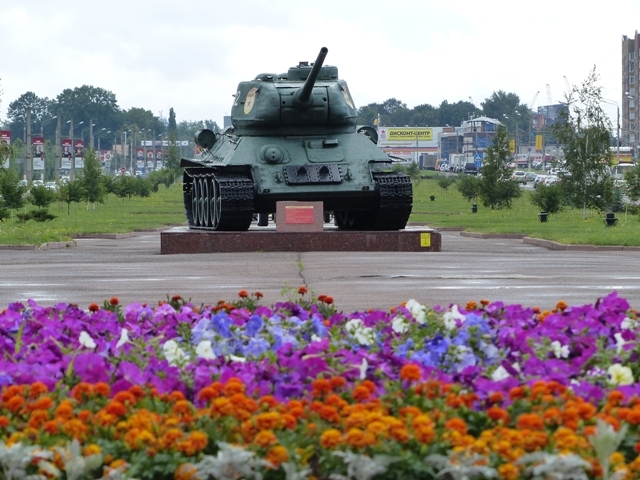 Kursk is mostly known as one of the major battlefields of WWII. Its real fame rests on the Battle of the Kursk Bulge (5 July - 5 August 1943). After the resounding defeat at Stalingrad, Hitler attempted to even the score by launching a huge counteroffensive. German tanks attempting a pincer movement on Kursk were halted and then driven back, turning Germany's 1943 counteroffensive into a retreat. A memorial stands right at the northern entry to the city with a triumphal arch, a monument to the most outstanding Soviet military leader Marshal Zhukov and samples of Soviet Army's weaponry. Marshal Zhukov, the triumphal arch and belfry. The famous "Katyusha" - a lorry-mounted multiple rocket launcher. Tanks were major characters in the Kursk Bulge Battle. Kursk’s central square bears the same name as that of Moscow - Red Square. The House of Soviets which used to house the regional Communist party committee is one of the best of its kind in the entire Soviet Union. Currently the building is a sit of the local government. The House of Soviets in Red square. 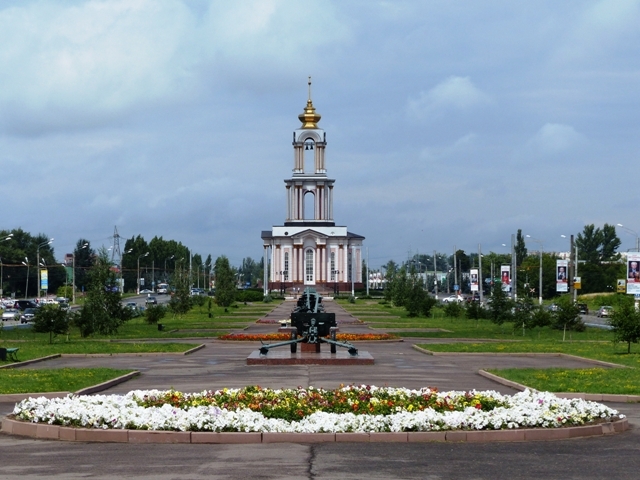 At the southern end of the square is Kursk's most distinctive 1816 Assumption Cathedral. 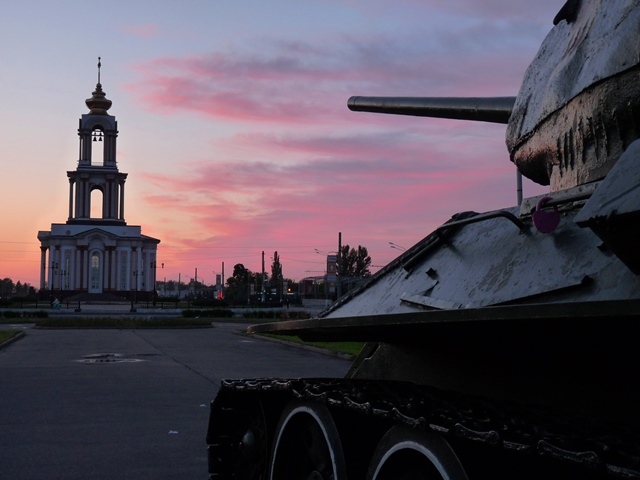 Unity of opposites: Kursk's oldest reflects in Kursk's newest.